To make a big statement in a small space look no further than the Café Sheco. 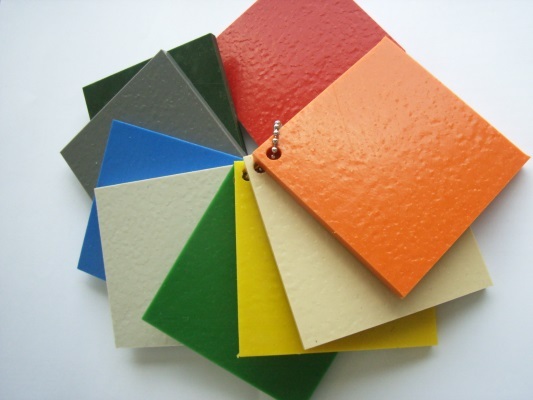 The super compact setting is ideal for a tiny balcony, small courtyard, or any outdoor area that needs a splash of colour. 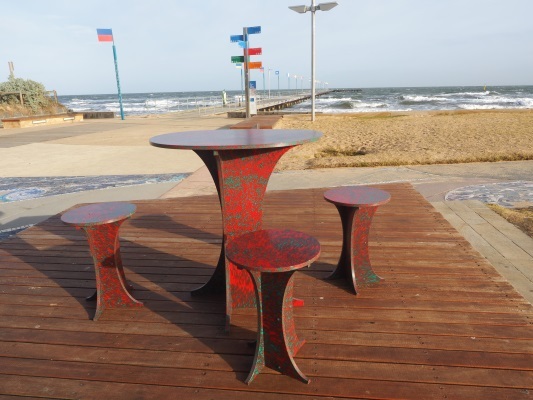 Made from recycled plastic sheeting, the table and three stools are lightweight, weatherproof, extremely durable and come in a range of colours to complement your décor. 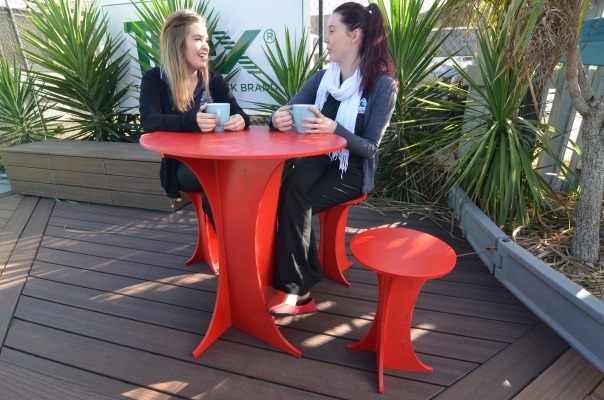 Create a custom look for your inner city space, café, or restaurant with this eco-friendly solution that will maximise space and add a modern minimalist feel to your outdoor area. : Blue, Red, Orange, Green, and speckles.